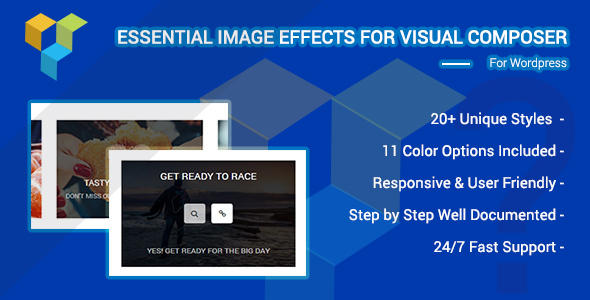 Essential Image Effects is a modern visual composer addon. It’s have 20 unique styles, 11 Colors option. You can use this addon on your project easily. This addon make your website very amazing. A big thanks to following source. Essential Image Effects For Visual Composer addon wouldn’t be possible without these source.